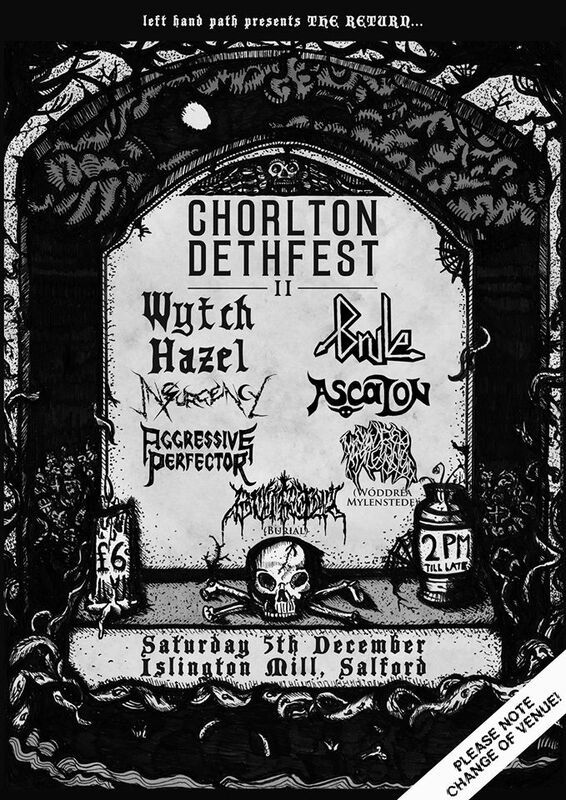 The medieval themed Wtch Hazel headline alongside 'ancient doom' band Brule, the black thrash of Insurgency, Ascalon, Burial, Aggressive and Woddrea Mylenstede. Tickets are only a fiver on the door. Doors 6pm.